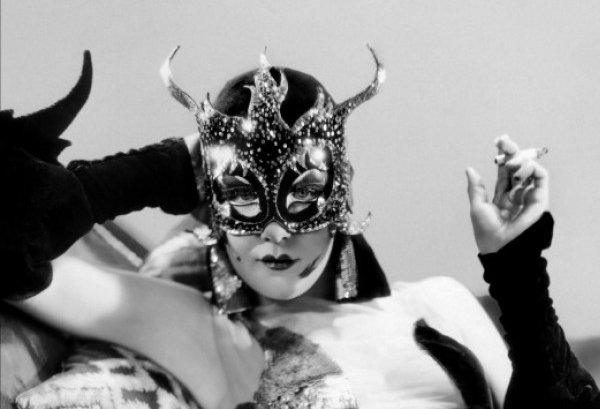 The American Cinematheque calls the 1930 musical Madam Satan “bizarre and exceptional,” and I couldn’t agree more. A masquerade party on a zeppelin? Russian ballet marvel Theodore Kosloff lightning-dancing as the Spirit Of Electricity? Art deco devil women? All this and more in a grand pre-code spectacle directed by Cecil B. DeMille. Throw in a talk by Kosloff expert Debra Levine, costumed audience members, and an appearance by 102-year-old actress Mary Carlisle (who plays Little Bo Peep in the film), and it just becomes too much to handle. This is the opulence and extravagance of Hollywood. This is why we love it here. Long live Madam Satan!